Thinking over renovating your outdoor space? 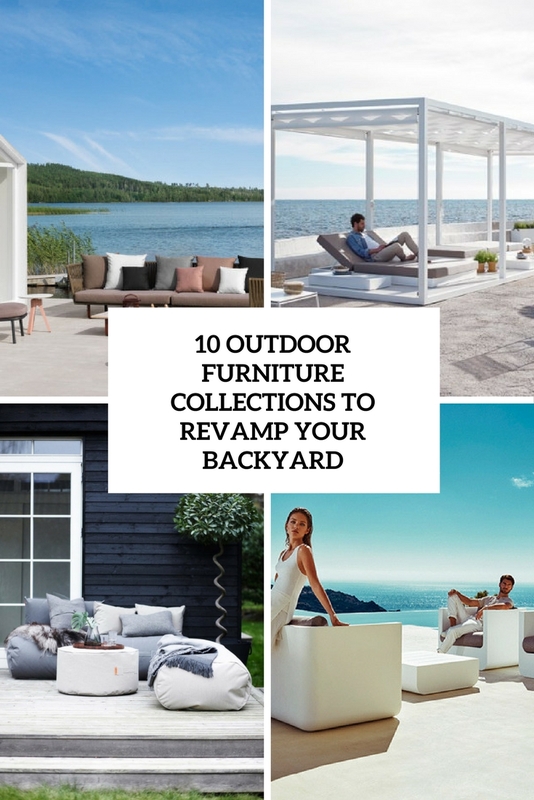 Creating your own combo of furniture and accessories may be tiring and difficult, and the designers took care of that – they regularly create amazing outdoor furniture collections that allow easy decorating in one style and with a unified look. It means that you won’t need to puzzle over matching pieces and textures – everything is ready for you! I’d like to share some of the coolest collections from which you can choose something and order right now. Danish brand TRIMM Copenhagen makes the furniture you want to lounge on outdoors thanks to their cozy, overstuffed nature that just begs you to lie down and relax. 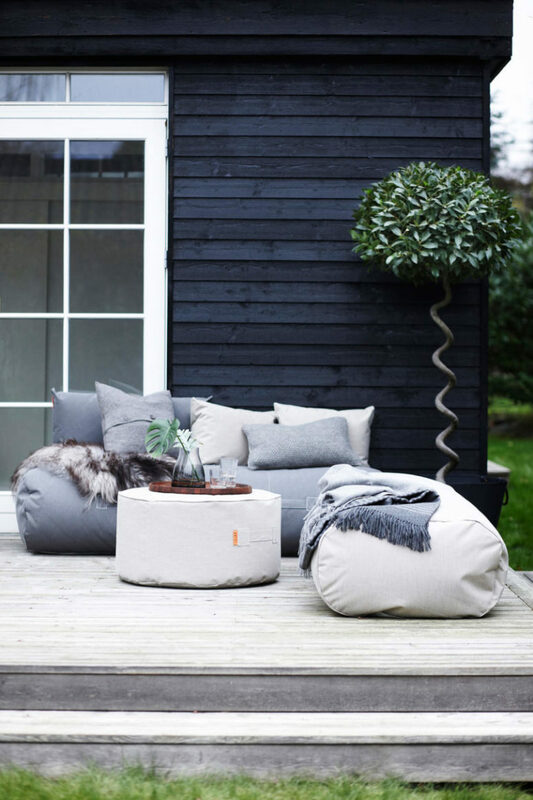 The pieces aren’t fussy or overdone, but rather a collection of simple, bean bag like cushions, seats, loungers, and stools, you can use to enjoy the company of your friends. All of them are covered in a durable coated canvas material from Sunbrella so you know they’ll hold up during crazy weather times. Patricia Urquiola has developed a family of outdoor furniture that expresses textural and visual contrasts. This is a mix of industrial and natural materials, hard and soft, solid and perforated surfaces to realize the sofa and table pieces. The basis of the Mesh collection is an expanded metal structure which while being strong, appears light and airy, in contrast to the plush cushions and solid wooden and marble surface tops. HOLLY HUNT is launching a new outdoor furniture collection for Spring 2017 that looks to the sea for inspiration. 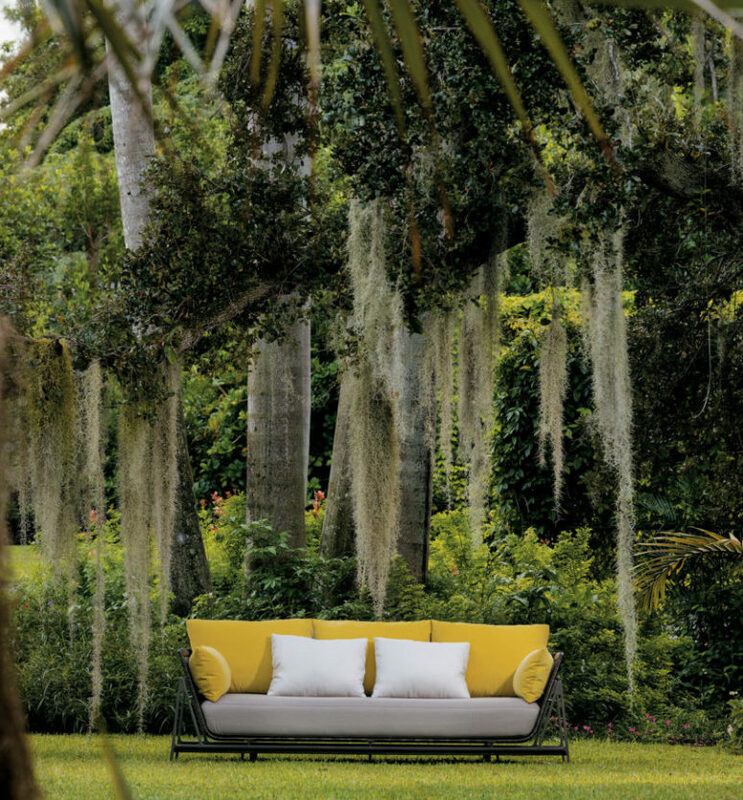 From sofas to lounge chairs to a variety of tables, Moray comes in with fluid lines, architectural details, and lux outdoor textiles that will create a striking outdoor setup of any size or aesthetic. The Roberti garden collection offers a view that never looked or felt better. 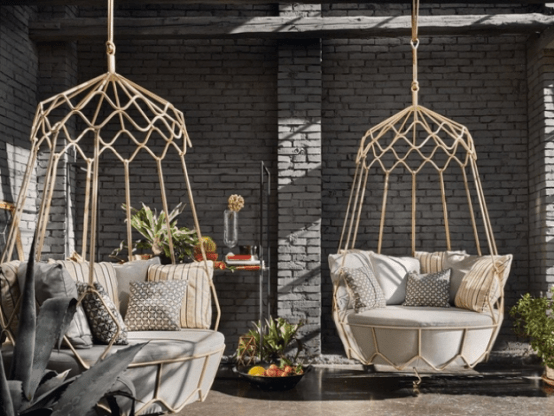 This is a modern furniture collection made of rattan, which is a luxurious and cozy material plus it’s rather practical. There are chairs, hanging chairs, sofas and swinging sofas, so you can choose whatever fits your outdoor space. 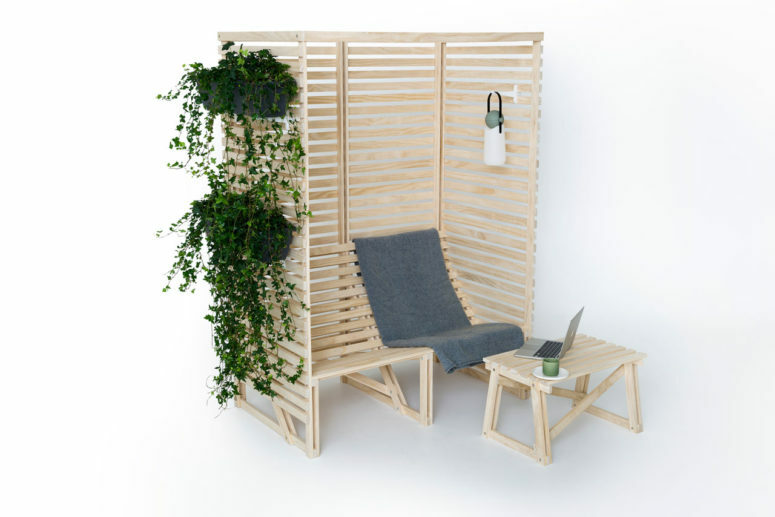 Patioset, designed by Dutch designer Bertjan Pot for Weltevree, offers modern comfort for your outdoor space. Patioset was designed for comfort with the seating tilted at the perfect angle that doesn’t even require those outdoor cushions that have to be dragged out every time you want to use them. Collection of terrace furniture ULM by Ramón Esteve factory looks for unity with other details of design. Sofa and chairs, couch, coffee table and ottoman have a rigid and stable construction for recreation, providing total comfort. The entire collection ULM comes with built-in lighting, underlines the innovative quality and outlines models. 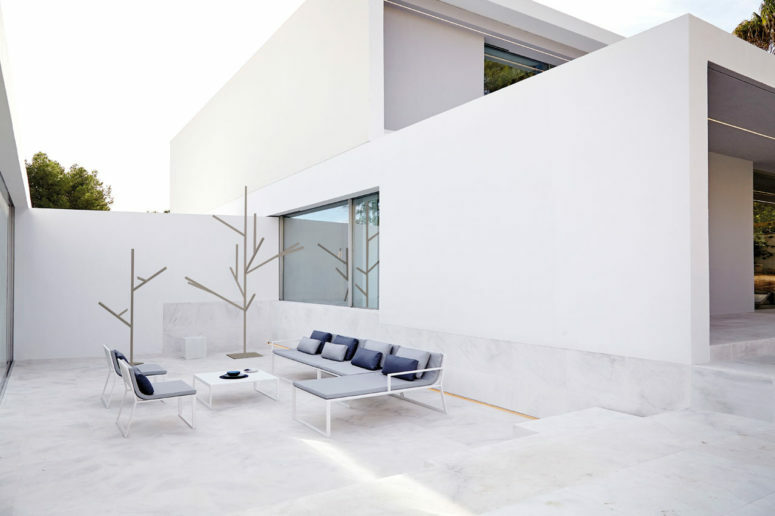 Fran Silvestre Arquitectos designed the BLAU collection as a way to bring architecturally-minded furniture to the outdoors. Designed for Gandia Blasco, the timeless collection is made for the Mediterranean lifestyle with its construction system made up of extruded aluminum profiles that obscure the hardware that connects it to the structure. 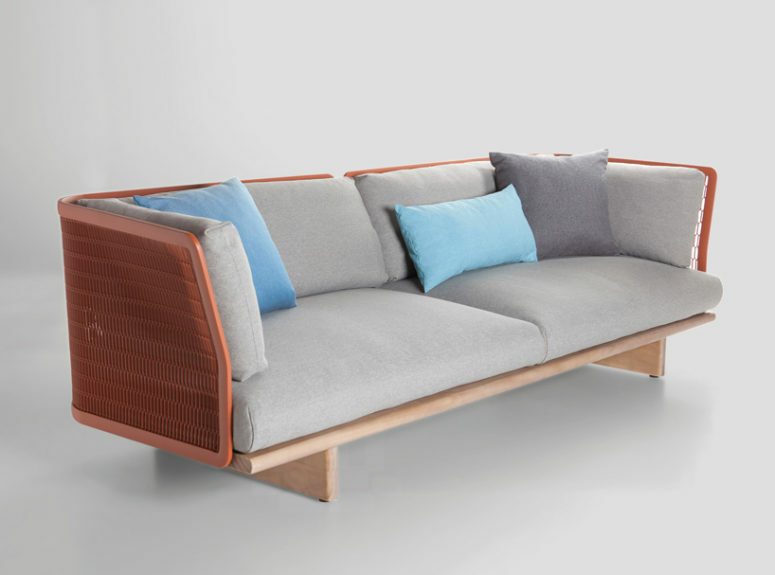 From architect and designer Rodolfo Dordoni comes an outdoor seating collection that features braiding, much like the braided ropes that are used to moor boats to the shore. 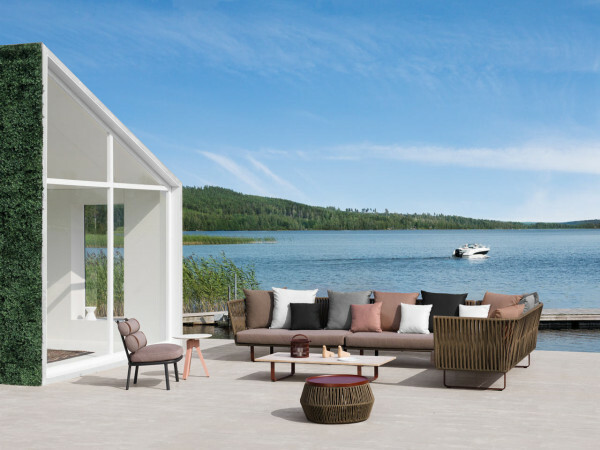 The waterproof collection combines aluminum frames, braided polyester seats, and comfortable cushions for the seating, and teak and stone for the tabletops. 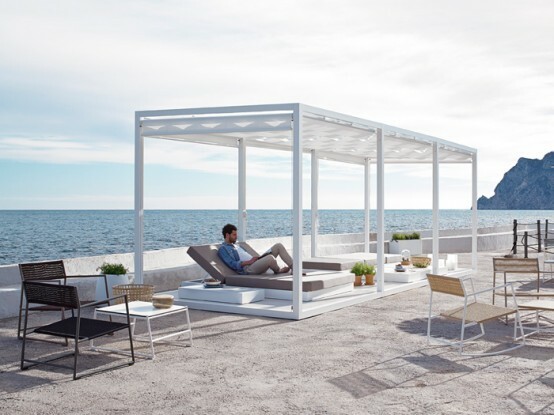 Spanish furniture brand Gandía Blasco presents an extensive range of durable, stylish and contemporary furniture for outdoor spaces. Every such piece is a modern take on traditional furniture – rocking chairs, chaise lounges, hanging beds and so on. Aluminum, steel, glass, polyurethane and high-quality plastic give these piece really a modern look. 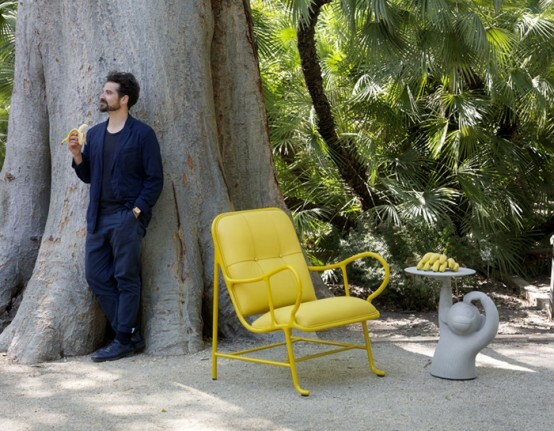 Spanish designer Jaime Hayon presented a collection of furniture in bold colors and with cool modenr design. There’s a sofa, garden chair and a fun Monkey table, the base of which is made in the shape of a monkey holding a tray-table top, like a waiter.